New Dance from Double Dream Hands! 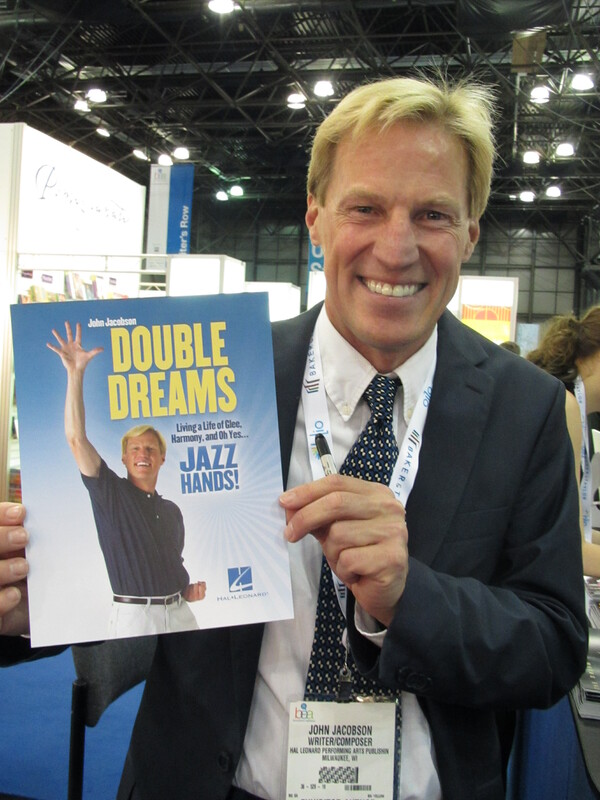 You’ve seen internet sensation John Jacobson on YouTube doing Double Dream Hands. You’ve seen Double Dream Feet. You’ve seen him on Sprint commercials. You may have even attended one of his workshops, subscribed to his magazine, followed him on Twitter, or met him at Book Expo America last year. But now John Jacobson comes out with a brand new dance, Whack Attack. Can YOU learn the moves? John Jacobson is the author and composer of many musicals and choral works that have been performed by millions of children worldwide, as well as educational videos and tapes that have helped music educators excel in their individual teaching arenas. John has staged hundreds of huge music festival ensembles in his association with Walt Disney Productions and directed productions featuring thousands of young singers including NBC’s national broadcast of the Macy’s Thanksgiving Day Parade, presidential inaugurations and more. He is also recognized internationally as a creative and motivating speaker for teachers and students involved in choral music education. John is the founder and volunteer president of America Sings! Inc., a non-profit organization that encourages young performers to use their time and talents for community service. He stars in children’s musical and exercise videotapes, most recently the series “jJump! A Fitness Program for Children” and is the Senior Contributing Writer for John Jacobson’s Music Express Magazine.